Driven by cryptocurrency device demand, TSMC's China sales are expected to surge by 79% this year. 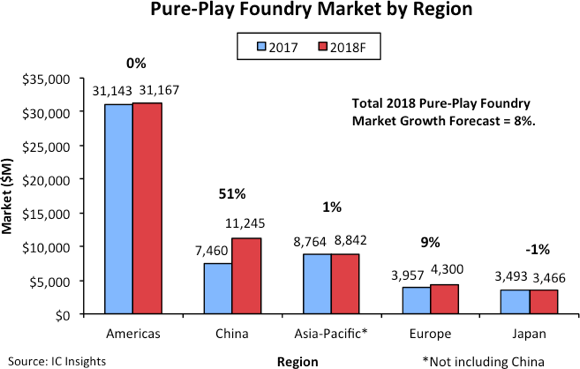 IC Insightsâ€™ September Update to The McClean Report shows that as a result of a 51% forecasted increase in the China pure-play foundry market this year (Figure 1), Chinaâ€™s total share of the 2018 pure-play foundry market is expected to jump by five percentage points to 19%, exceeding the share held by the rest of the Asia-Pacific region. Overall, China is forecast to be responsible for 90% of the $4.2 billion increase in the total pure-play foundry market in 2018. Although all of the major pure-play foundries are expected to register double-digit sales increases to China this year, the biggest increase by far is forecast to come from pure-play foundry giant TSMC. Following a 44% jump in 2017, TSMC's sales into China are forecast to surge by another 79% in 2018 to $6.7 billion. As a result, China is expected to be responsible for essentially all of TSMCâ€™s sales increase this year with Chinaâ€™s share of the companyâ€™s sales more than doubling from 9% in 2016 to 19% in 2018. 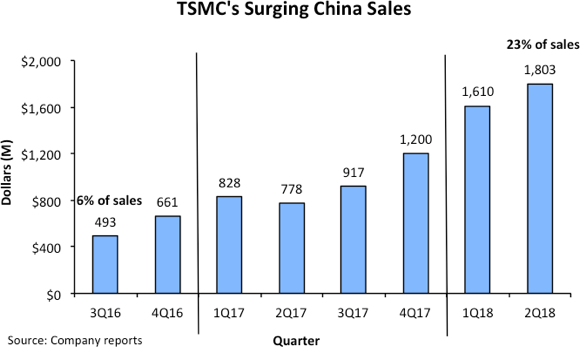 As shown in Figure 2, much of TSMCâ€™s sales surge into China has come over the past year, with 2Q18 sales into the country being almost double what they were in 3Q17. 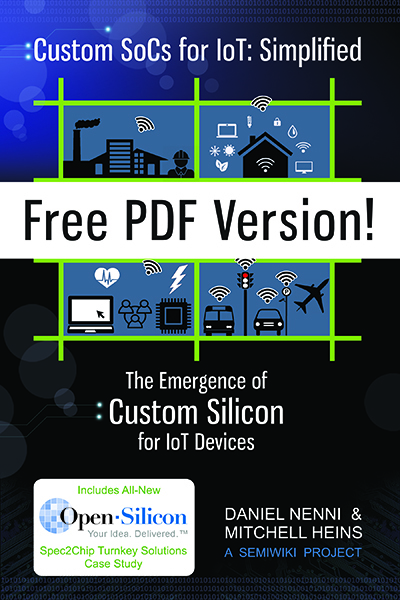 A great deal of the companyâ€™s recent sales surge into China has been driven by increased demand for custom devices going into the cryptocurrency market. It turns out that many of the large cryptocurrency fabless design firms are based in China and most of them have been turning to TSMC to produce their advanced chips for these applications. 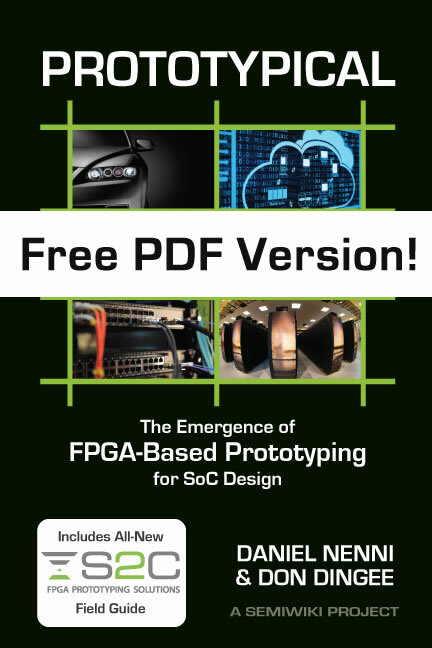 It should be noted that TSMC includes its cryptocurrency business as part of its High-Performance Computing segment.